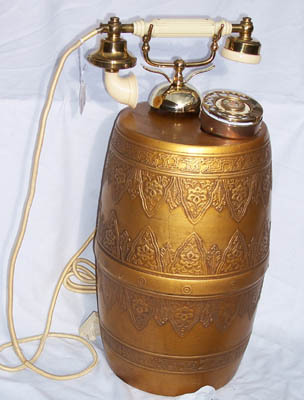 Barrel Phone. Measures: 8x19-1/2". Some pitting in the finish on the top of the barrell of the phone. This is a gold toned or brass looking phone.